Robot, the most likely appreciated term these days. People call them as 'Automated things,' means which can work on their own. Automaton, sounds somewhat weird but this is the actual basic term which defines the modern word 'Robot'. When we look back, two thousand years ago there are proofs saying that people tried to build mechanical objects that looked and moved like humans and animals which are the very called 'Automatons'.These work on specified set of instructions set by the specified user. They cannot work beyond the set of instructions. The emperor Theophilios' palace for example had lions, made either of bronze or wood covered with gold, which struck the ground with their tails and roared with open mouth and quivering tongue. So from this we can say that automatons has no intelligence of its own. 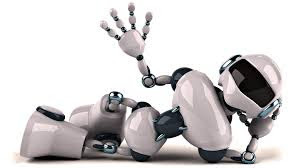 Today's robots on the other hand, have artificial intelligence and can perform many tasks - but the fact remains that automatons are surely the ancestors of the present day sophisticated robots.